Composed against a cataclysmic backdrop of Stalinist oppression and the Second World War, Shostakovich's Symphony No.8 is a deeply affecting poem of suffering. The composer described it as, ''an attempt to reflect the terrible tragedy of war,'' and it contains some of the most terrifying music he ever wrote. 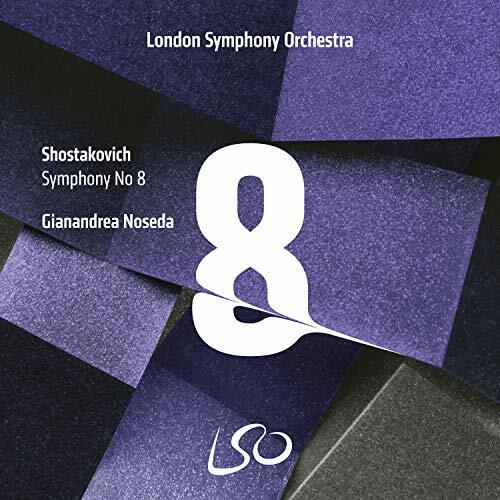 Here, Gianandrea Noseda conducts the London Symphony Orchestra with intensity and understanding, allowing the music to tell its own story as it travels from darkness into light, yearning more for peace than for victory. If you have any questions about this product by LSO LIVE, contact us by completing and submitting the form below. If you are looking for a specif part number, please include it with your message.